In The New York Times, my friend Rich Sandomir has an extraordinary piece on the arranging of the Costas/McGwire interview, and the rest of yesterday’s ‘limited hang-out,’ as a component of the Mark McGwire Contrition Tour. But he does reveal that there was somebody involved in this strange dance, conveniently transcripted here. McGwire has a damage control advisor, and he’s Ari Fleischer, the former Press Secretary to President Bush. I vowed long ago not to mix baseball and politics here, and I’m confident that I’d be saying the same thing if this were Robert Gibbs from the current White House: if this was Fleischer’s plan, he owes McGwire a refund. If it wasn’t, he needs to tell Mac never to suggest it again. It will to some degree fly with a small percentage of the public, and l point to the irony of a comment yesterday by somebody posting under the name “Mantlewasarockstar.” Let’s accept McGwire’s premise – even though this took place long after the heartbreaking death of Lyle Alzado, and the sudden retirement of Florence Griffith-Joyner, and the other horror health stories of steroids abused. Last night he told Costas he had started his heaviest use of steroids in the winrer of 1993-94, to try to regain his health. More over, if you’re buying this, Mr/Ms Mantlewasarockstar, and it really still was some kind of firm conviction this was about body repair and not artificially-increased home run power – body repair is by itself artificially-increased home run power! Consider the name under which you comment: Mickey Mantle. What would Mantle have been like with a miracle elixir that let him come back from injuries? 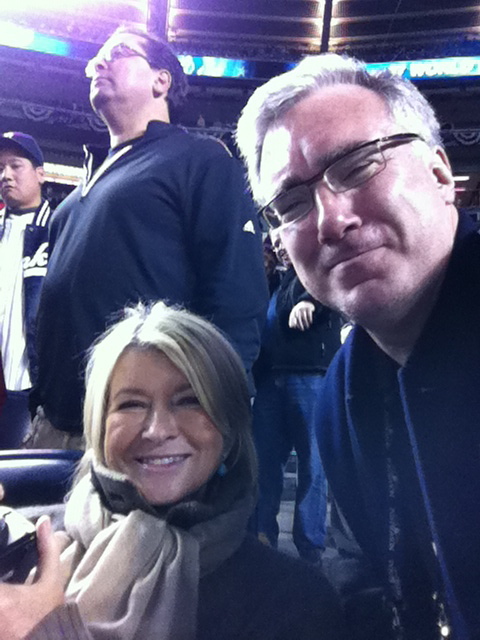 What would Maris have been like (it wasn’t just the bad taste of public reaction that led him to retire seven years later – he only played two full seasons after he broke Ruth’s record)? Or Albert Belle? Or every sore-armed pitcher whom McGwire faced, or faced at less than full strength, or would never face at all? If something improper, immoral, illegal, or unethical was used by Mark McGwire to get himself back on the field, and if it really did nothing whatsoever to add enough power to get transform just thirty of what had been his fly ball outs, into the stands each year – it, by itself, was a performance-enhancing drug. In some ways it becomes even more of a performance-enhancing drug: it didn’t just improve what he did from, say, 40 to 70. It increased it from 0 to 70. Plug: we’ll deconstruct parts of the MLB Network interview with McGwire, tonight on Countdown. Also, “FAIL”? When did the condescending use of this word as an argument-ender jump the shark, 2006 or 2005? They don’t give me a vote. I was once gratified to read somebody argue that they should, but if I remember correctly this was written by somebody else who also didn’t get a vote, but probably should. The logic behind that assertion will presumably decrease as time goes by. But it is staggering to consider that for decades, writers elected – or prevented the election of – dozens of players who they literally never saw play in a game that mattered. By the time Ron Santo was first seen by future Hall of Fame voters working in Baltimore, Boston, and all the other American League cities save for Chicago, L.A., and New York, he was a worn-out 34-year old part-time second baseman who had already hit 337 of the 342 homers he would ever hit. Seeing them on television has been the actual qualification for some large number of voter-nominee interactions since television began. Roberto Alomar: No, just barely. 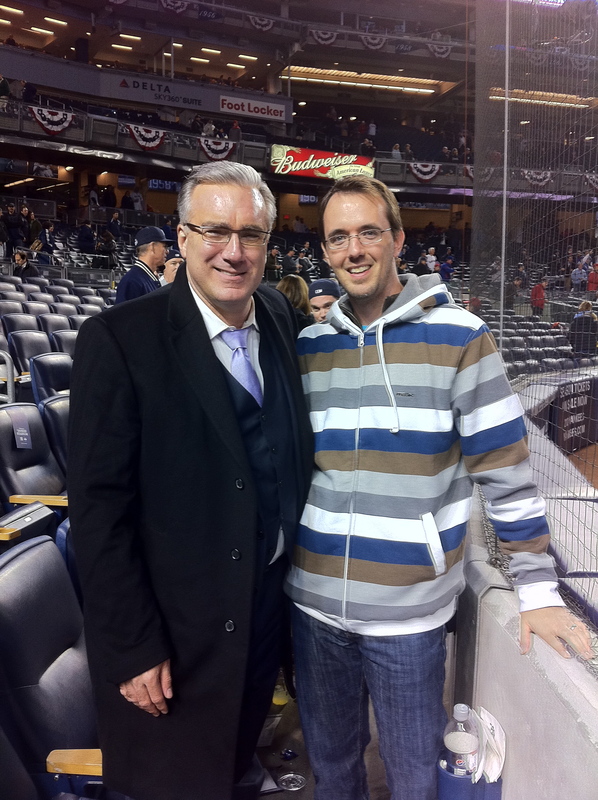 I don’t think he was as good as Sandberg and I always said Sandberg shouldn’t go in before Joe Gordon. I’m not judging Alomar on the spitting incident, I’m judging him on the fact that for whatever reason, at age 34 he not only turned from a superstar into a fringe major leaguer, but he also turned into a millstone around the neck of a franchise. The bad taste may fade with time, but right now I couldn’t vote for him. Harold Baines: Yes, just barely. He’s hurt by the 2,866 hits – he’s in that Buckner zone. Everybody else who got to Buckner’s level of hits (2,763) has gotten in, or will, or is Pete Rose. Bert Blyleven: Definitely. Fifth all-time in strikeouts now (passed by Clemens), by any measure one of the game’s great curveballers, and 287 wins. And by the way, those 3,701 strikeouts? They came with only 1,322 walks. 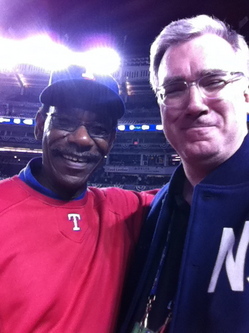 Andre Dawson: Yes. Farcical he has had to wait. Andres Galarraga: I just don’t see it. 399 homers in the power era just doesn’t get there. Barry Larkin: A great player and one of my favorites, but I don’t recall ever during his playing career having had even that Alomarian sense that this could be a Hall-of-Famer. If we’re looking to put a Reds shortstop in Cooperstown, it should be David Concepcion. Edgar Martinez: The first test of how the DH-as-position will resonate through history. I can see electing pure DH’s but to me the batting bar is a little higher for them than other batsmen who field. Two batting championships and a RBI title is not sufficient. Ferris Fain won two batting championships, too, and I don’t see a big argument for him in Cooperstown (and he did it in consecutive years, too). 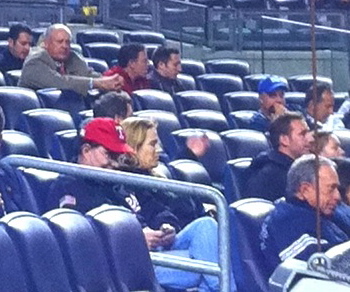 Don Mattingly: Sigh, no. I wish. The back injury killed his chances – he dropped from superior to slightly-above-average. For competitive fire, diligence, class, yes. But we don’t do it that way. Mark McGwire: Hall of Fame? For what? For pretending to Congress that nothing happened before that steroid hearing? Fine. You got your wish. Nothing happened. Your lifetime numbers are 0-0-.000. And by the way, why is it ok for him to just waltz back in as batting coach of the Cardinals? Would we let Bonds come back in? This is unacceptable, and it gives credence to the very disturbing claim that race is at play when it comes to the punishment of steroid cheats. 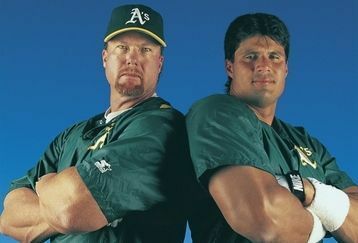 Mark McGwire is a steroid cheater. Jack Morris: Another beneficiary of a little perspective. I used to flinch at that 3.90 ERA. There seems very little doubt that Tom Glavine will go in on the first ballot at 3.54. I’m looking more at the 254 wins and the clutch performances. Aye. Dale Murphy: Yes. Preposterous that he’s had to wait. Two-time MVP, thought he was tailing off at the end of one season so he went to the Instructional League that fall to work on his hitting, turned himself from a defensive disaster to a star centerfielder, and was cooperative with every fan, reporter, and vendor. During his era as an every-day starter, 1978 through 1991, he was baseball’s leading home-run hitter, and he’s not in because he hit 398 homers and not 400? And we’re seriously considering Edgar Martinez before him? Dave Parker: To be fair, something of a victim of expectations. 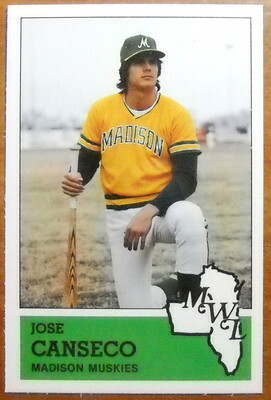 But when he came up he was thought to have been the best all-around talent to ascend to the majors perhaps since Mays. 339-1493-.290 with 147 steals, two batting titles, and no homer crowns, isn’t very much, I’m afraid. Tim Raines: No. It is very close. Maybe the steals should earn him a spot. The rest of the offensive production just doesn’t. Lee Smith: Here’s a startling question: who led his league in saves more often during his career? Lee Smith, Mariano Rivera, or Trevor Hoffman? The answer is Smith (four), though Rivera (three), and Hoffman (two) can still do something about it. But doesn’t it at least suggest Smith’s 478 saves should be taken seriously, too? I vote yes. Alan Trammell: No. I wish it were otherwise. I do want to see how many guys vote for Shayne Reynolds. There are at least two big heavy fascinating books devoted to no less a topic than the attempt to record all of the uniform numbers worn by big leaguers. It may not fascinate you, but it fascinated two guys, including the eminent researcher Mark Stang, to take the time to do the research, and two publishers to pay the costs. tte from an odd MLB Network choice for one of its “All-Time Games” is fascinating – to a few, anyway. 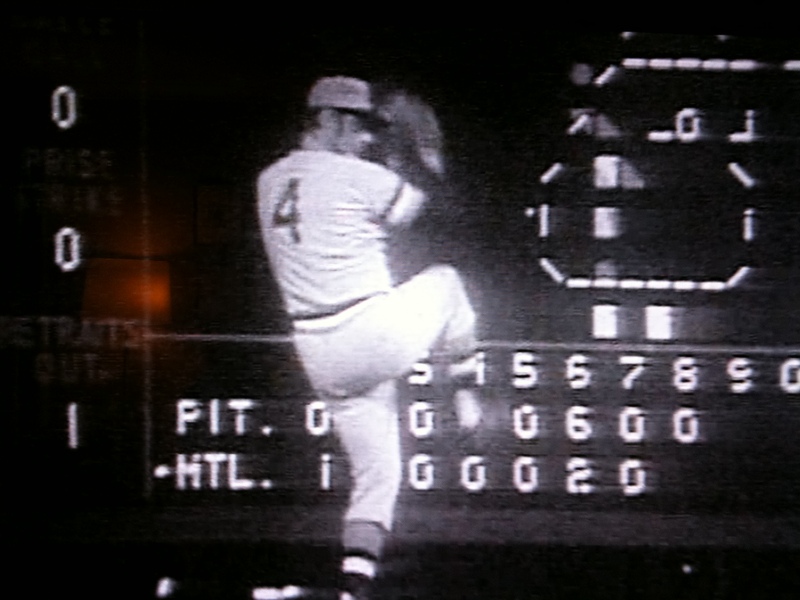 It’s a black-and-white video of the Montreal Expos outlasting the Pittsburgh Pirates at Jarry Park in Montreal on September 2, 1970. And at mid-game, rookie announcer Don Drysdale starts commenting to his partner Hal Kelly about the odd spectacle he’s seeing in the visitors’ bullpen. The righthander in mid-pitch is John Lamb (of the Pirates’ odd Lamb/Moose/Veale pitching staff). The lefty awaiting the throw is George Brunet, and he is not an outfielder loosening up his arm to replace Roberto Clemente. He’s a lefthanded pitcher – one who pitched fifteen seasons for nine different teams, plus thirteen more in the American minors, plus teams in Mexico up until nearly the day he died in 1991 – whom the Bucs had obtained from the Washington Senators three days earlier. 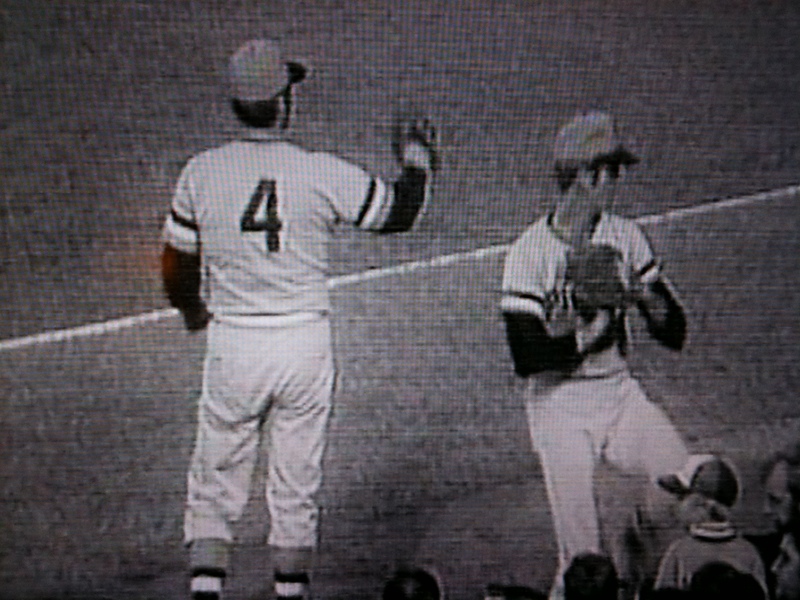 And he is wearing uniform number 4. Drysdale says to Kelly that Brunet is going to change the number as soon as possible because: a) pitchers just don’t wear “low numbers” like that, and b) Brunet has told him so. Left unspoken is the fact that Brunet, listed at 6’1″, 195, was probably closer to 220 by the time he got to Pittsburgh, and they probably gave him number 4 because, in that first year in which double-knit unis were ever used in the majors, it was likely the only shirt they had that fit him. Both those big heavy uniform books show Brunet wearing only 22 for Pittsburgh. Yet, there he is, a few moments later, years ahead of Toronto’s Number 7 Josh Towers, actually getting into his second game as a Pirate, wearing the number they would eventually get around to retiring in honor of Ralph Kiner. As an utter sidebar, I loved watching this game until I realized that the second of my two trips to Montreal as a kid to explore unbeatable, electric (and frigid in August with aluminum seats) Parc Jarry, was exactly one week before this game was played. Alors! This game is newer than the last time I actually saw that old field!